A.K.A. 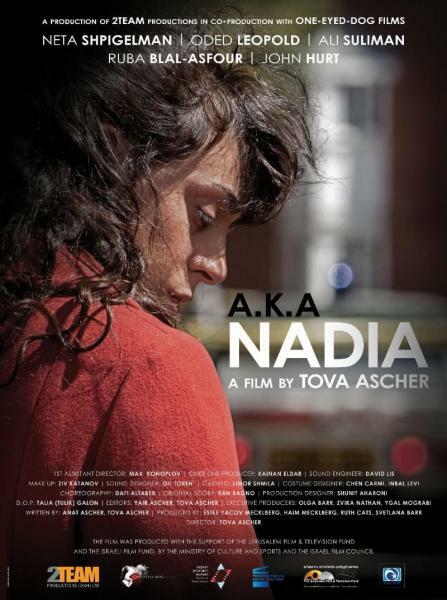 Nadia, a film by Tova Ascher. With a conversation with leading actress Neta Shpigelman. A powerful meditation on the personal and political nature of identity which tells the story of a woman forced to face the conflict between the Muslim family origins she has hidden and the life she has lived as Maya Goldwasser, an Israeli Jewish career woman, wife and mother. When a figure from Maya's past resurfaces, the event threatens to unravel both her family and her own sense of self. Can we have and hold all of who we are and that has shaped us, even against the backdrop of a cultural and political conflict? Featuring a recorded Skype conversation with leading actress Neta Shpigelman. Followed by a discussion led by Stewart Crane and Gerry Gartenberg. Tickets are $10 in advance; $12 at the door. To purchase advance tickets, click here. If you registered for the original date of March 3, you are automatically registered for this rescheduled date. If you are unable to make this date, please call the office to arrange a refund.